Featuring a white finish and a slim back, this Pro Track open back spotlight track head is designed for halogen bulb use. 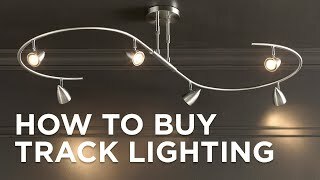 This track bullet is a stylish and versatile lighting solution for your space. The track head features a white finish and an open back, and it is designed specifically to utilize halogen bulbs. For use with Halo track systems. White finish; open back design. Do you have the same fixture in black as a mono point? Will these lamps fit on a 1984 Nutone/Scovill track? BEST ANSWER: Hi Kipp - this was designed to fit Halo Track systems only.